Home Solutions of Iowa has provided peace-of-mind home improvement solutions to more than 25,000 Iowa homeowners. 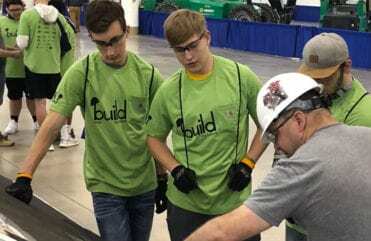 As your local full-service home improvement contractor, we feel a connection to the communities of Des Moines. Since 2003, We’ve worked with Habitat for Humanity, Ducks Unlimited and make annual contributions to the Iowa Wild hockey team’s ‘Defending the Blue Line’ program, which provides sports equipment and opportunities for underprivileged children. 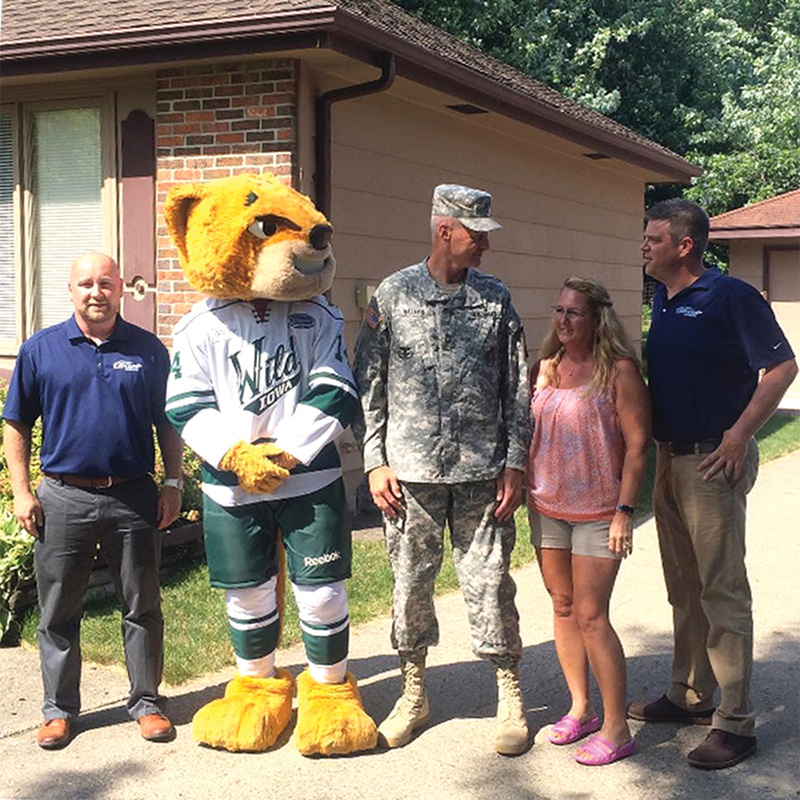 This last fall we rolled out our Roofs for Troops Promotion, honoring our Central Iowa military heroes by installing a new roof on their home. As proud supporters of our Military and Armed Forces – we feel the brave people who defend our freedoms, deserve a roof to defend their home. 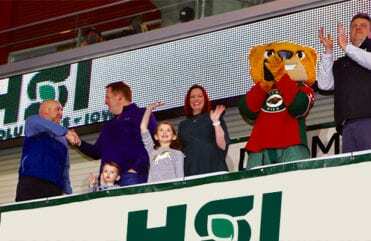 Partnering with the Iowa Wild, local hockey fans nominated a veteran or active military personnel for a complete GAF Roofing system by Home Solutions of Iowa. 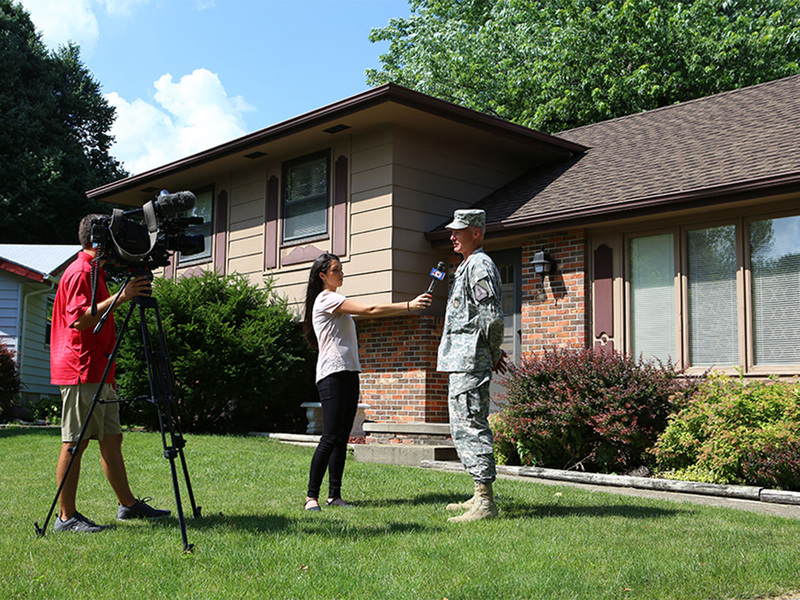 Gary was interviewed by the media at his Roofs for Troops install. 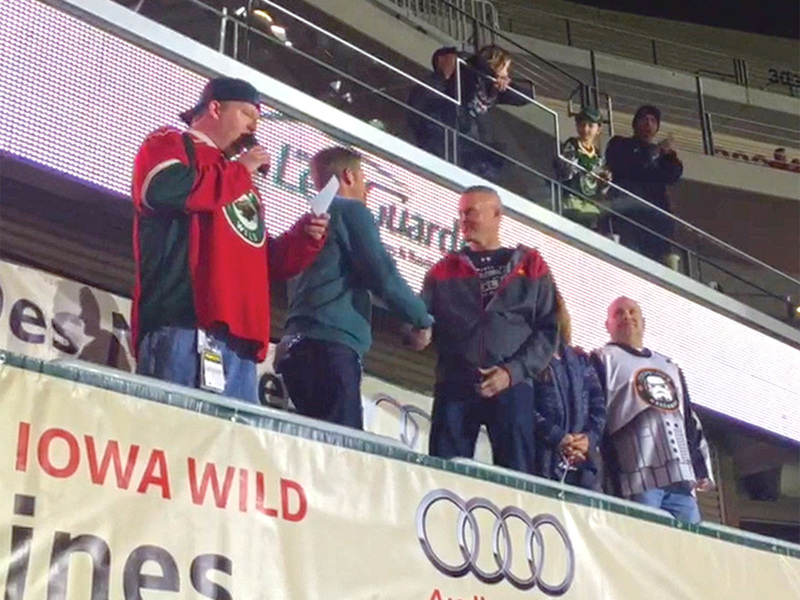 Gary Waters was nominated and awarded a Lifetime roofing system on March 25, 2016, at the IA Wild Hockey game at the Iowa Events Center. This spring Home Solutions of Iowa installed a GAF Roofing System with Timberline® HD Shingles on his Altoona, IA home. Protecting Gary’s most valuable asset and adding beauty to his home for years to come. With GAF’s transferable Lifetime ltd. warranty and the backing of the Good Housekeeping Seal, the Waters’ home is safeguarded with GAF, North America’s largest roofing manufacturer and Home Solutions of Iowa. Home Solutions of Iowa’s Roofs for Troops contest winner installed a GAF Roofing System with Timberline® HD Shingles on his Altoona, IA home. Gary and his wife celebrate with Crash and the HSI staff at the Roof or Troops installation celebration. Gary told us, “The military seems to get a lot of respect in the state of Iowa and around the Midwest so any time anyone does anything I am very appreciative. 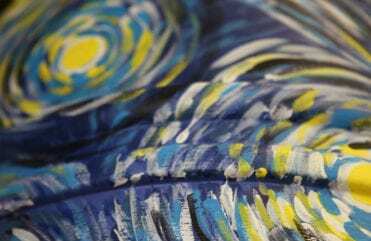 I was not expecting this at all it at all but greatly relieved that we don’t have to forgo the cost at this point.” The Waters’ family are grateful for the special gift and appreciates the entire staff walking them through the whole installation process. I have used LeafGuard® before and that was why I used their services again. - Floyd A.
I was most satisfied the way they cleaned up after themselves. 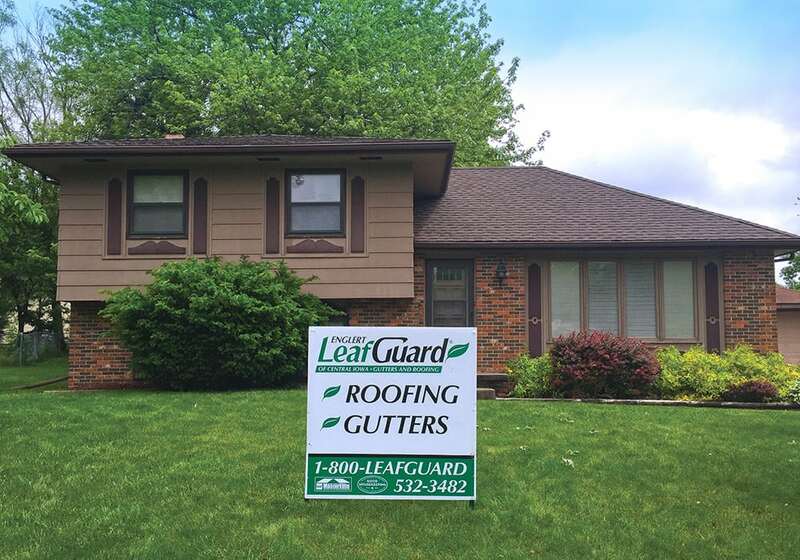 - Robert M.
I was most satisfied with LeafGuard® by Home Solutions of Iowa because of how the gutters look. The sales representative helped me match my new siding with colors of the gutters and it matches very well. - Calvin B.